The RS|Mannino team created an open concept floor plan for this Boerum Hill apartment. The space was stripped down and refinished for a more modern look. 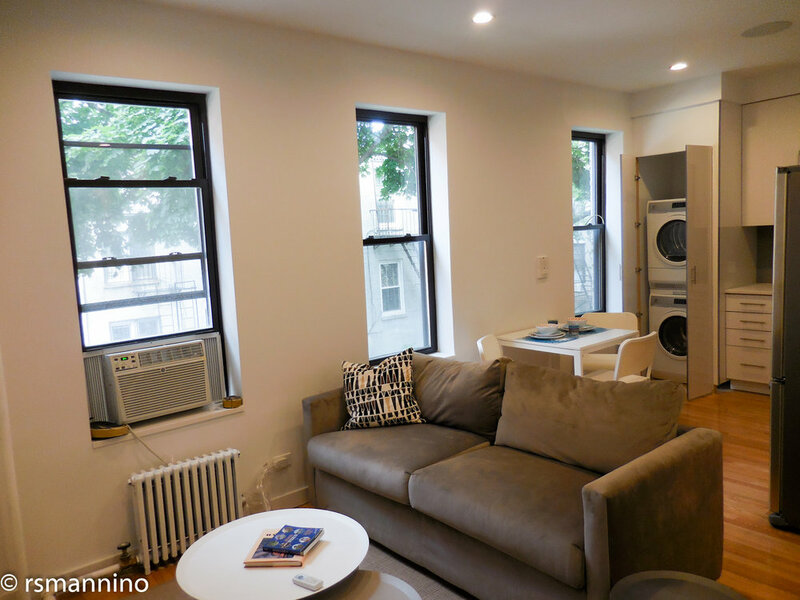 To create more room in this studio apartment, a laundry closet was integrated into the kitchen design. Cubbies and small niches were included in the bathroom design to take advantage of every inch that was not previously utilized.